If you're unhappy with that new pair of eyeglasses you've just purchased, don't be shy about returning to the optical store to discuss what can be done to fix the problem. When you're selecting new eyeglasses, you often can't actually see what you look like in the frames until your prescription lenses are inserted. So it's not unusual for you to think you've purchased the right glasses, only to have "buyer's remorse" after wearing them a few days. To avoid unpleasant surprises, it's a good idea to ask your optician about the the optical store's satisfaction guarantee (if they have one) and its returns policy before you buy. You purchase an item that has a manufacturer's defect, such as a frame that breaks because of a weak solder joint. The prescription clearly is wrong due to a mistake in how your eyes were measured or the lenses were fabricated. The Uniform Commercial Code (UCC) states that, if an item is broken when you buy it, you can demand a full cash refund. If your eyeglasses break because of a defect, you should have no trouble getting your money back. Also, reputable optical stores usually will have no problem offering you a replacement, because most eyewear manufacturers will provide free replacements to the retailer if there is a manufacturing defect. Both the makers of eyeglass lenses and frames and the optical stores put their reputations first and do not want consumers to think their eyewear is inferior. However, there is a definite line between defective lenses and frames and ones that have been obviously abused or the victim of an accident. Neither the manufacturer nor the seller has an obligation to provide a replacement in those cases, although some optical stores do offer insurance or warranty plans. The eyeglass prescription is incorrect. The optical lab made an error fabricating the lenses. It is a good idea to take any pair of completed glasses back to the prescribing doctor and have the lenses checked for accuracy. If the optical shop has made a mistake, ask the doctor's office for a written explanation of exactly what the errors are, so you can bring it to the store and have the lenses remade — at no charge, of course. Don't like the look of your new glasses? Whether you can return them depends on where you bought them. If the prescription has been made correctly, but you are still uncomfortable with your vision through the eyeglasses, your eye doctor can recheck your eyes and modify the prescription if necessary. Most optical stores will remake the lenses for you at no charge at least once if the doctor adjusts the prescription. In most cases, one change should be sufficient to give you comfortable vision. 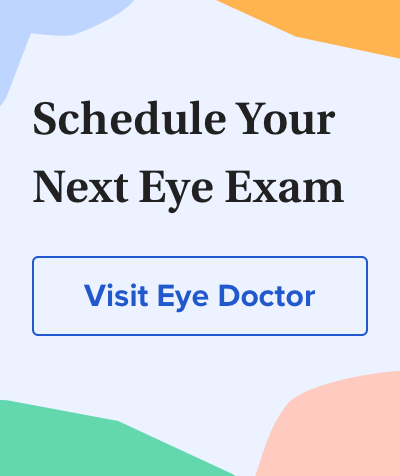 If you have a specific problem with your eyes or you have a medical condition that may cause your vision and your eyeglass prescription to change constantly, be sure to discuss this with your optician beforehand so you know how many times they will remake your lenses at no charge and what conditions apply. Beyond the first courtesy remake at no charge, usually something must be negotiated. You may be able to arrive at an agreeable solution by paying a reduced amount for the remakes until the prescription is satisfactory and then paying to have any coatings or additional lens treatments put only on the final pair. Reflections. If you notice annoying reflections in your lenses, ask your optician to replace the lenses with ones that include anti-reflective coating. Though you will have to pay extra for this premium lens treatment, AR coating eliminates reflections that cause eye strain, interfere with night vision, impede eye contact and simply make your glasses less attractive. Trouble adapting to progressive lenses. If your new glasses have progressive lenses and you have trouble adapting to them, your optician may be able to exchange them for a different design or brand of no-line multifocal lenses. If you prefer to have your progressives lenses replaced with lower-priced bifocal or single vision lenses, be aware you may not be be refunded the difference in cost, depending on the store's policies. Sensitivity to light. If you have trouble with sensitivity to light outdoors when wearing your new glasses and you don't want to invest in a separate pair of prescription sunglasses, ask your optician about upgrading to photochromic lenses that darken automatically in sunlight. What If You Just Don't Like Your New Glasses? The gray areas come into play if you want to return your glasses simply because you don't like them. Yikes! If you can't see clearly when driving with your new glasses, return to your optician or eye doctor for a recheck of the lenses and prescription. The eyewear is too heavy, causing your glasses to constantly slip down your nose. The frames and possibly the lenses are unflattering. You simply made a poor choice in style — a mistake we probably all have made. Depending on what the exact objection is, optical stores have policies that can differ widely. Your success in exchanging the eyeglasses or obtaining a refund will depend on where you bought them. Some optical stores will take the entire pair of glasses back within a certain time period, no questions asked. Within a specified time frame — typically one to four weeks from the date of purchase — you can receive a full refund or a store credit so you can find something more to your liking. Some stores will offer a credit or refund only on the frames, because they can be returned to the manufacturer for credit — whereas, the lenses are useless to anyone else. Other stores won't take back the eyeglasses at all, and have an "all sales are final" policy. This is why it pays to ask questions about return policies ahead of time. You invest a significant amount of money in new eyewear, so you need to know what to expect "just in case." Although state laws vary, what you are entitled to depends on the refund policy that the store posts in some form: on a sign by the register, a written policy on the sales slip or other documentation. But what you actually negotiate with the store may be much more satisfying than the written policy. Just as when shopping for any other kind of merchandise, you're best off using common sense when deciding on which optical stores to patronize. One that comes highly recommended from satisfied friends or relatives often is a good bet. If you don't have a recommendation, talk to an optical shop's opticians before you buy. If they don't seem knowledgeable, or if they treat you poorly, then chances are that you won't have a good experience should you have a problem down the road. If staff members treat you courteously when you make the purchase, they often will look for ways to help you overcome any difficulties you have after the sale. If the glasses are too heavy, for example, the optician may be able to suggest a lighter lens material and allow you to pay only the difference between the cost of the original lenses and the lightweight lenses, rather than charging you full price. Likewise, if the frames aren't a good fit, the optician may put the existing lenses into another style that fits better — asking you to pay only the difference, should the better-fitting frames cost more than the ones you originally bought. If the new frames are larger, however, there also may be a charge to remake new lenses to fit the frames. Aside from being unable to wear your eyeglasses comfortably or being unhappy with them, another consideration is what happens if your eyewear gets damaged. Here again, the policies of different optical stores will vary, so ask about the store's eyewear damage policy before you buy. Some shops charge a fee — generally in the $25 to $50 range — for damage insurance or a warranty on the eyeglass frames and/or lenses. SEE ALSO: How To Clean Glasses — Without Scratching Your Lenses! Consider what the replacement cost would be if a lens became scratched — the most common type of damage that can occur. Does the cost of replacing one lens exceed the price of the insurance? If so, it may be worthwhile to purchase the extra peace of mind — especially if the glasses are for a child or a rambunctious adult. While some warranties guarantee unlimited replacements at no additional charge, others limit the number of frames or lenses they will provide. Different policies also may involve a small fee, or "co-payment," to replace the frame or lenses. Sometimes replacement policy costs are included in the purchase price of the eyeglasses, and sometimes the shop doesn't offer any type of guarantee at all. If damage is a big concern, then factor that into your decision about where to buy. If you do your homework up front and purchase your eyeglasses from the optical store that makes the most sense for you, chances are that you will have good results should you have to request a refund or exchange. But if you try to negotiate with the optical shop in good faith to resolve a problem and you believe that you are being treated unfairly, you are not without recourse. If you are dealing with a retail chain store, contact the corporate headquarters and explain your difficulties at that level. If it's an independent store, or if the chain's headquarters is unresponsive, you can file a complaint with the Better Business Bureau, which will work on your behalf to try to resolve the situation. In addition, your state or local consumer protection agency may be able to help. If you are unable to achieve satisfaction from any of these avenues, you always have the most powerful weapon available to you: You can vote with your wallet. If enough people take their business elsewhere, the uncooperative optical store will find itself with no customers left to offend and will be forced to close its doors.